Renault India, one of the fastest growing automotive companies in India, is aggressively expanding its network reach across the country. The brand will increase its dealership network from 208 facilities to 240 facilities by the end of this year. This expansion plan has been developed to make Renault cars accessible to more people across the country, and will play a key role in growing Renault’s aggressive business strategy in India. Renault has a clear focus on building the brand in India, and expanding the network presence is imperative to achieve this objective. The company is working hard to make its products and services more accessible across the country, with an equal focus on growing its presence in metros as well as in the hinterlands of India. 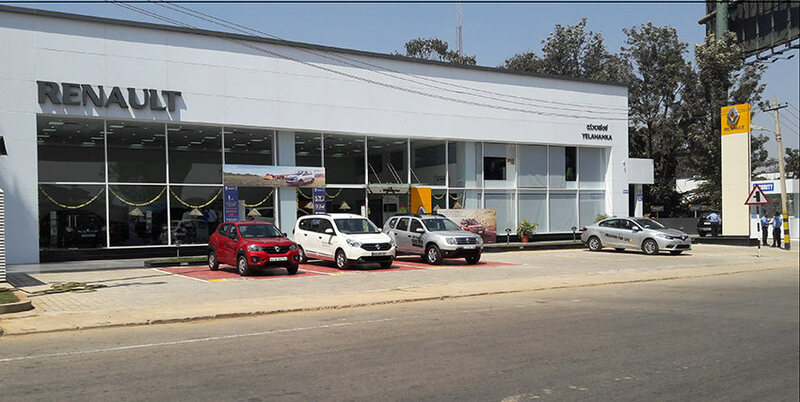 All the new Renault India dealerships being inaugurated are designed according to the RENAULTSTORE concept. RENAULTSTORE is a new generation of dealerships which has been conceptualized to best address the evolving needs of customers by highlighting the value of the brand, products, services and accessories in a modern and more effective manner. These new generation dealerships offer customers an excellent brand experience – from the test drive, to delivery and after-sales support. Renault is one of the fastest growing automotive brands in India, and is working at achieving a 5% market share by this year. With more dealership launches in the pipeline to reach its target of 240 dealerships by the end of this year, Renault is focusing on moving closer to its customers and providing them with the most enhanced ownership experience.